What our Client say in our Printing Services? 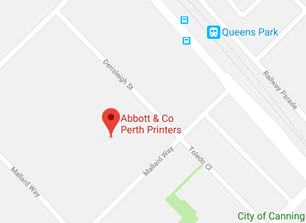 We have found Abbott Printing provide a fast, efficient and friendly service for all of our printing and box making product supplies. All jobs are of an exceptional quality, being on time and on budget. It’s rare for a supplier to feel so much like an extension of your own business. The whole Abbott & Co team are diligent and proactive with every piece of work we produce together. They genuinely care about the work they produce and their expertise is always on hand to make sure we’re producing the right collateral for our purpose. They deliver to deadlines and accommodate late requests with ease. But most importantly they take on our projects with as much pride as if they were their own.